Trading Standards is standing up for London’s tenants and landlords by cracking down on rogue letting agents who flout the law. 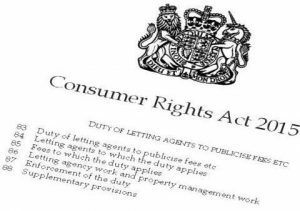 As part of London Trading Standards Week (25-29 September) representatives from 15 departments will visit Letting and Property Management agents today in a bid to identify rogue agents and improve the rental experience for consumers. Letting agents must display their fees, and other relevant information, in their branches and online so that prospective tenants and landlords know exactly what they’re paying from the outset when entering into a rental agreement. 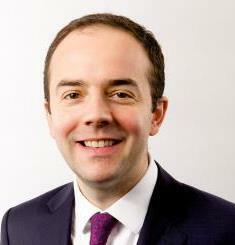 While most agents fully comply with legal requirements, those that don’t can face a fine of up to £5,000 per offence. Last summer, Jerome from Central London found a Bayswater flat he liked the look of, advertised on two property portals. But when declaring he would like to rent the property, he was confronted with unexpected costs from the agent. As a result of recent visits to agents as well as breaches identified on agents’ websites, Trading Standards departments in London have issued fines amounting to around £370,000 in the last three months alone. Trading Standards is working with the lettings industry, including the National Approved Letting Scheme (NALS), to improve standards. NALS has developed an online training course focusing on effective enforcement against agents who do not display fees or their membership of a redress or client money protection scheme. This follows the successful roll out of NALS’ Enforcement Toolkit last year, which worked with local authorities to offer a step-by-step guide to the legalities and requirements of regulating letting agents. “Trading Standards play a vital enforcement role in the lettings landscape, ensuring agents trade fairly and consumers are protected. We are delighted that London has taken a lead in increasing their activity and raising awareness so that rogue agents should not simply slip under the radar”. Anyone wishing to report a rogue agent to trading standards should Citizens Advice on 03454 040506 or use the LTS online reporting tool.